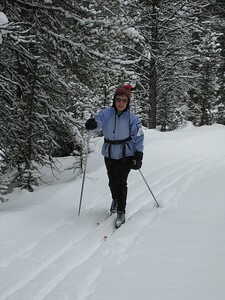 Little Bavaria is one of our favorite skis at Lone Mountain Ranch. 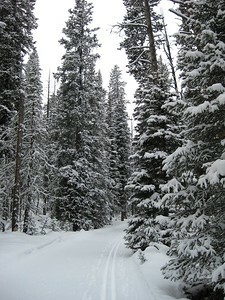 After crappy snow in Southwest Montana for nearly a month, a few inches of fresh powder and some colder weather was welcome. We had just arrived at our friends' home, across whose property the Lone Mountain Ranch has an easement. 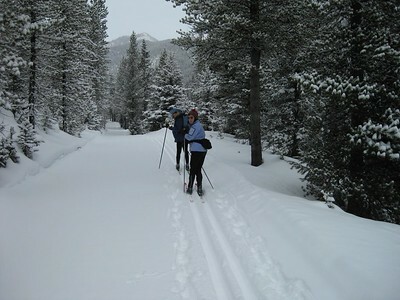 Bascially, one skis down their driveway and gets on the ski trail. Life is rough sometimes. Yeah, it is cloudy and cool. About 5 degrees or so. 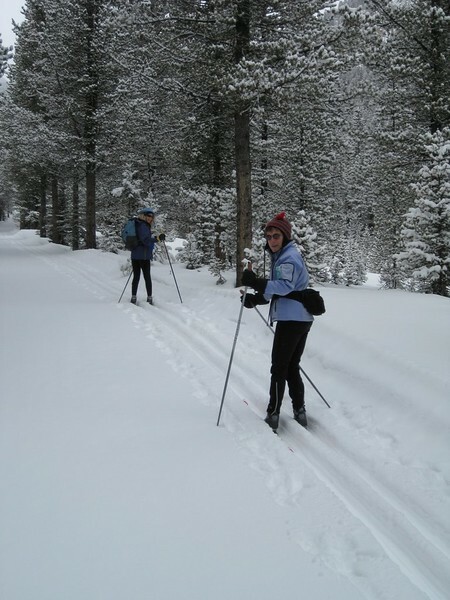 But Donna and Susie are ready to SKI!! 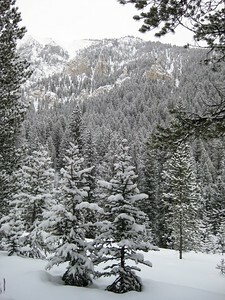 Heading up the North Fork, the snow is about perfect. 3 inches of fresh powder. And at these temps, the snow does not stick. A small ridge just north of Yellow Mountain. The trees seem sugar coated. The first half of the route is a gentle climb to a meadow, above which the terrain steepens considerably. Susie stopped for a bit to warm up her hands. Here she comes. 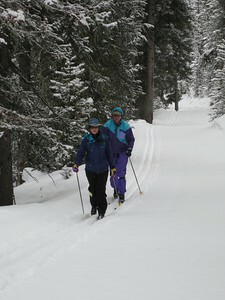 We had left the house before Carolyn and Scotty, but they are strong skiers and soon caught up. What a lovely day for a ski. The stuff calendar pictures are made of. 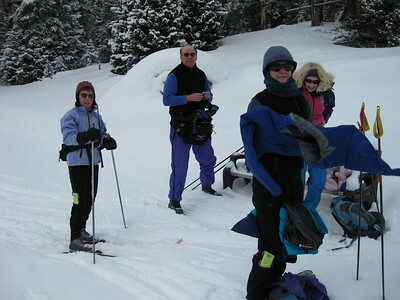 We've arrived at the turnaround, and Susie, Scotty, Carolyn and Donna are suiting up to start the downhill run. 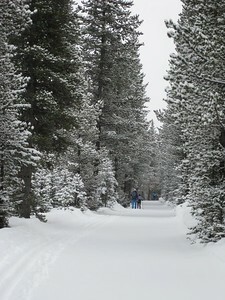 With the fresh powder, it was not a fast run. 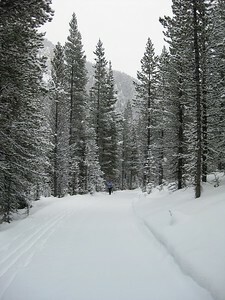 Except when you add another mile by skiing down (or really up) the North Fork trail. But now, we KNOW we have gotten our exercise. Time to head home and make pizza.